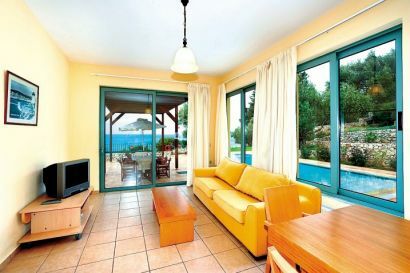 The Lourdas Villa Ithaki is just a short stroll from Lourdas beach and has a private pool. The landscape round the Lourdas Villa Ithaki is private and secluded so you can be a sure your stay will be relaxing. The villa is one of a set of four each has a private pool and has great views. When you stay at the Lourdas Villa Ithaki you are close to all of the local amenities of Lourdas but your villa will have all you could ever need. With 3 bedrooms, a private pool and views most people only ever dream of you may never wish to leave. If sunshine and relaxing is you you you will love Lourdas Villa Ithaki. 1. 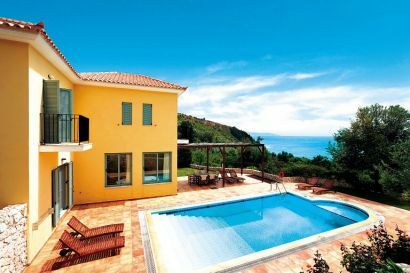 You can check the Lourdas Villa Ithaki availability and package prices at Thomson Holidays. 2. 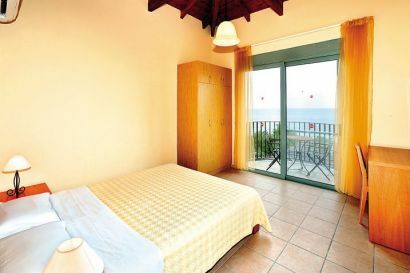 You can also book and check prices at Lourdas Villa Ithaki with First Choice the cheap holiday specialist.